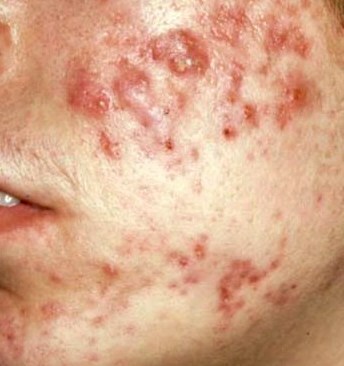 Acne is a genetically-inherited disease, which is the result of several factors occurring in the skin. Aside from excess oil secreted by the sebaceous glands, there is a proliferation of cells that clog the pores, trapping oil in the follicle. Bacteria inhabit the follicle and digest the oils, generating waste products which then cause the irritation to the skin. Oilier skin conditions tend to experience more breakouts because they provide more food for the bacteria. Teenagers’ hormonal changes increase oil production, in turn increasing the problem. 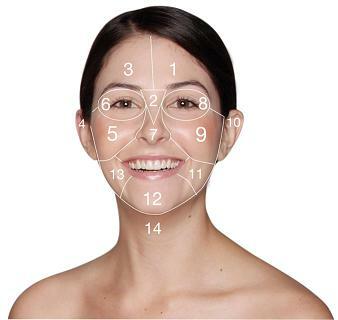 A quick Face Mapping skin analysis will identify your problematic areas. What is the recommended acne medications and treatment? Excellent skin care and hygiene are vitally important to remove the excess oils and bacteria that are associated with acne. Dermalogica products are non-comedogenic and completely water-soluble, making them ideal for breakout-prone skin. Always follow a strict regimen of thorough cleansing with anti-bac skin wash and lukewarm (never hot) water, followed with a hydrating conditioner such as Dermalogica Multi-Active Toner, and an oil-free moisturizer. Exfoliate twice a week, and use Daily Microfoliant® every day, to help the skin rid itself of congestion-causing debris. Dermalogica Medicated Clearing Gel helps regulate sebum (oil) production, remove follicle-clogging debris and kill bacteria. For an existing breakout, Benzoyl Peroxide provides unsurpassed clearing while a calming mask reduces irritation. In addition, lifestyle changes can often improve your skin. Try to reduce stress, drink plenty of water and limit your intake of caffeine and cigarettes, which may stimulate the adrenal glands and promote oil production. And always remember never to pick or squeeze pimples, as you’ll be left with an even bigger blemish and a scar to remember it by! How should I change my regimen if I am taking prescription acne medication? If, after a month of following your recommended regimen your complexion does not clear, it may be time to involve a dermatologist. Depending on what you were prescribed, you’ll have to make some adjustments to your at-home regimen, to help your skin adjust to the new medication. For example, you may opt for a more gentle cleanser, such as Dermalogica Special Cleansing Gel or The Bar. Users of Retin-A, Adapalene and Accutane should not use any exfoliating products, or undergo waxing on the treated areas. All users of prescription exfoliating products, as well as of antibiotics, should avoid sun exposure as much as possible, and apply a Dermalogica Solar Defense product with a minimum SPF15 daily. Why do some people breakout in their thirties and forties? Stress and hormonal changes are the primary cause of the re-emergence well after puberty. Recent studies indicate that 40 to 50 percent of adults between the ages of 20 and 40 are diagnosed with the problem. Along with several lifestyle changes, including reducing stress and improving diet, there are several products on the market designed to address these problems. Dermalogica Oil Control System is a collection of three medicated, skin purifying formulations – a cleansing Anti-Bac Skin Wash, Skin Purifying Wipes, and Oil Control Lotion – all designed to control oil and prevent breakouts. What is the difference between acne vulgaris and rosacea? 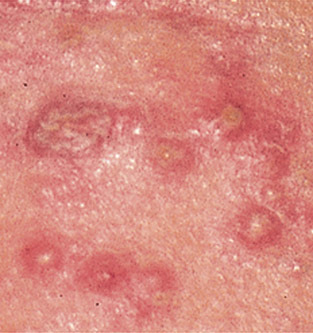 Vulgaris is more common and is caused by clogging and inflammation of the skin's hair follicles. 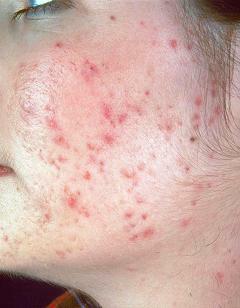 Rosacea, on the other hand, is not actually a form of acne at all, even though it looks that way in its early stages. Rosacea is an inherited vascular disorder in which the blood vessels of the face become swollen after repeated exposure to certain triggers such as extreme temperatures, alcohol, spicy food, etc. While it starts as a simple blushing, it advances into bumps on the face that looks like an acne breakout. Rosacea is treatable... but not by the same regimen! Skin prone to Rosacea must be treated gently to avoid triggering redness and inflammation, and may also require a dermatologist’s prescription for special medication to control the symptoms. Book an Laser facial treatment today by calling us on 0208 875 1199 or book online.